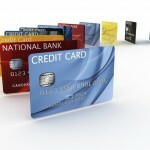 My First Credit Card: What are Secured Credit Cards? Home → Blog → Secured → Do I Want A Secured Card For My First Credit Card? 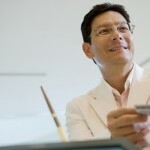 Do I Want A Secured Card For My First Credit Card? If you want to know, “How do I get my first credit card”, there are a few answers. You can try a store card. But often the best card is a secured card. Let’s explain. 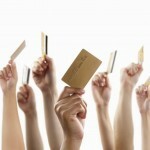 There are two basic types of credit card accounts – unsecured and secured. Though they share many of the same features (most importantly the ability of the cardholder to make charges) there is one major difference between them. A secured card requires a cash deposit, while an unsecured one does not. The money acts as collateral for the issuer. It’s not a payment, but rather a way to guarantee repayment. Is this a good choice for my first credit card? Yes. Secured cards are easy to get even if you have no credit. The deposit is often held in a separate, interest bearing account. As long as you treat the account right, you can count on the money held safely by the issuer. It will be there for you as savings! 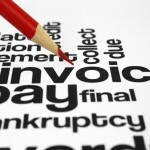 The issuer can take what’s due if you don’t pay. So what happens if you run up a balance but don’t pay? After about three or four months, the lender will take action. They will dip into the funds held in reserve to claim what’s due. A high credit score isn’t necessary. 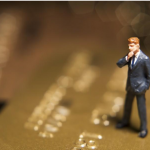 Issuers do analyze credit reports and scores when deciding whether or not to grant the credit line, but qualification standards for secured cards are generally far looser than they are for most unsecured cards. Many of these cards are specifically for people with poor to very bad credit ratings. 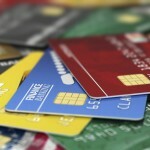 A wide variety of banks, credit unions, and credit card companies offer secured cards. 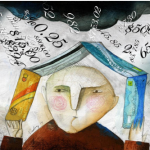 Don’t limit your search to a single creditor or think you need to visit the sub-prime world. Many of the big companies, such as Citi, Capital One, and Discover, issue them. The credit lines may be less than, equal to, or larger than the deposit. When you read the terms on the application, you should see the amount of the deposit and the credit limit. Typical security deposits range from a $50 to $5,000 such as for the First National Bank Secured Visa. Most come with annual fees. For example the Capital One Secured MasterCard’s annual fee is $29, and the USAA Secured Platinum American Express Card is $35. An insurance product, application charge, or processing fee may be included in the cost of the card, which is then subtracted from the credit line. Avoid these types of secured cards as they’ll put you behind before ever making a purchase! APRs tend to be high. 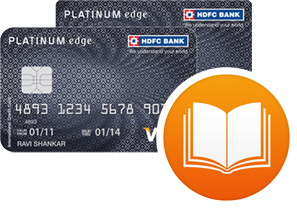 Because secured cards are designed for people with damaged or not yet established credit, banks take a risk even with the deposit. Therefore the interest rates will reflect that risk level. They also know that most people will accept the higher rate, just to have a card. Still, not all are in the 20s and above. Some, like the premiere Secured Visa Classic are a decent 13.99 percent. Most, but not all, report to the credit bureaus. To build credit, your positive activity should be reported. Before applying, check to see that the secured card you want will show up on your consumer credit reports. They really are fascinating products especially if you want to know about my first credit card.